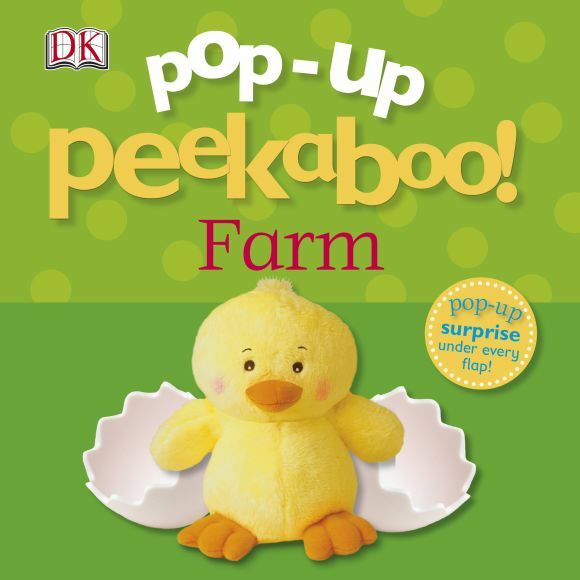 Play hide and seek on the farm and discover lots of exciting farm animals in this cute children's pop-up book. This read-aloud book for toddlers encourages first learning by introducing little ones to colourful scenes, adorable cuddly characters, and 5 pop-out farmyard surprises. Watch as a cockerel pops out from a pigsty and a horse pops out from a field of cows. Perfect for reading aloud and encouraging early word recognition, your baby will love the new pop-outs in this award-winning series. Great for developing imagination, early-thinking and memory skills.